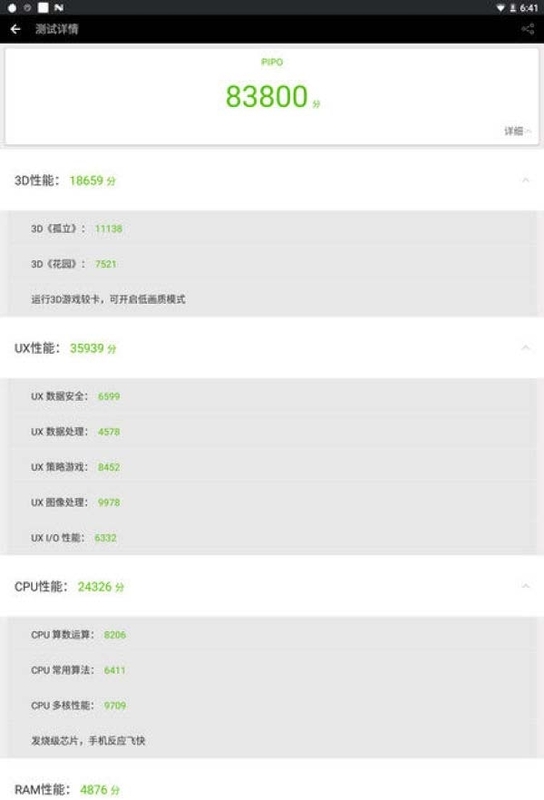 So far, the RK3399 products which we can buy on market are basically limited to several TV boxes. 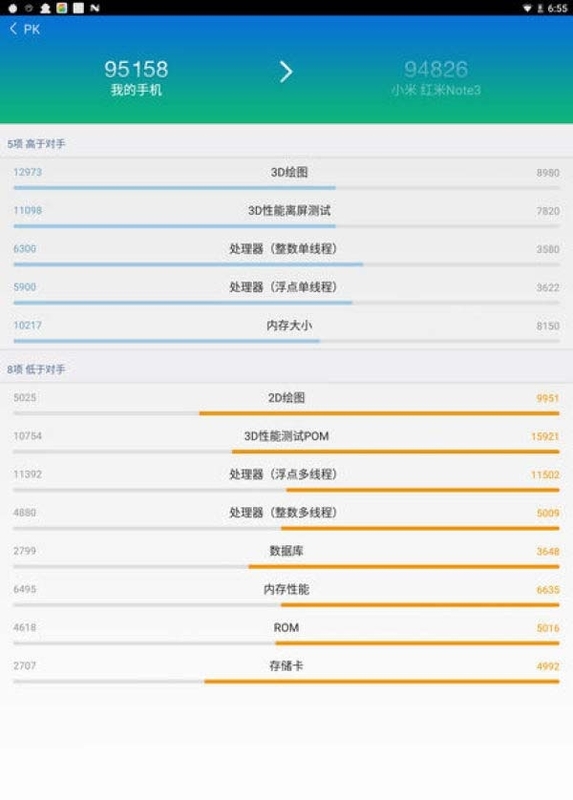 However, a good news that PIPO P10 RK3399 tablet pc is about to enter the mass production stage recently. Well, does the RK3399 Tablet PC worth buying? Here we will share you the PiPO P10 Tablet PC test review, and you'll see how the RK3399 program peoform. PiPO P10 Android tablet is pre-installed with Android 7.1.2 OS, the interface is very simple. And it is built in 4GB RAM + 64GB ROM. P10 appearance uses a metal back shell, combined with the top frame design, which is full of metal texture feeling. Side interfaces includes an mirco USB port, an mirco HDMI port, 3.5mm headphone jack, etc. Compared with the early released prototype, the new prototype is not equiped with the popular Tpye C interface. PIPO P10 tablet supports fingerprint recognition, and has 8 million pixel rear camera, and is equipped with LED flash function. 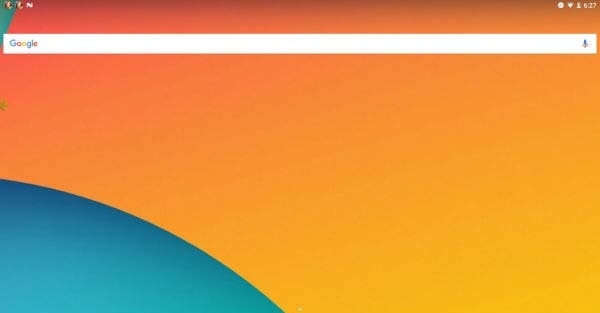 There is keyabord case interface at the bottom of the machine, and can be connected by magnetic, which is common on Windows tablets, while rale on Android tablets. At the first sight of the Pipo P10, you will be immediately attracted by the front 2K screen, which has a 2560 × 1600.pixels resolution, offering delicate feel & gorgeous color. In the field of Tablet PC, it can be regarded as the leader. As for the screen showing effect, please see the photos below. RK3399 supports 2560 × 1600 screen display and dual display, supports HDMI2.0 interface, and supports H.265 / H.264 / VP9 4K 60fps high-definition video decoding and display. It is also compatible with ordinary 2D and 3D source, and can offer hardware decoding capabilities for application. You do can assure to use the RK3399 products on video playback and HDMI output. After test some 4K video clips, PiPO P10 can run very smooth. Moreover, the HDMI can set the output resolution, and video also supports the selection of tracks, subtitles and other functions, which is very powerful! RK3399 is 2 x Cortex-A72 + 4 x Cortex-A53 + Mali T860MP4 structure. 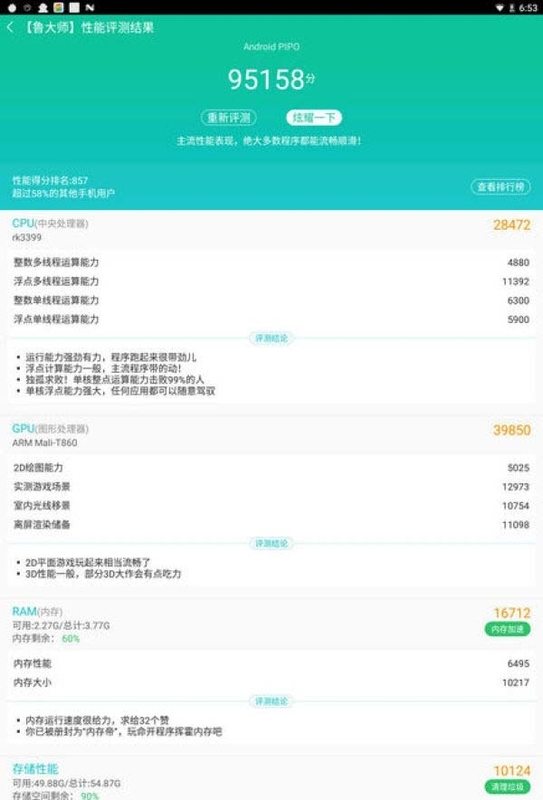 PIPO P10 AnTuTu Benchmark socore is into 83800, LU master test score is 95158, which is roughly the same with Xiaomi Redmi Note 3 and Huawei P9 Plus mobiles. Overall, this PiPO P10 tablet screen, performance is quite good. People interested about this tablet can stay tuned for our later reports.